Drugs and security in West Africa – An inevitable tragedy? I attended a high level seminar, convened by the Kofi Annan Foundation, on Drugs and Security in West Africa last month. As someone new to the region, this trip to Dakar was a real eye-opener on several levels, but from the IDPC drug policy perspective, there were several aspects of what is happening in West Africa that were worryingly familiar, and it is not easy to see how the emerging problems in that region are going to be avoided. 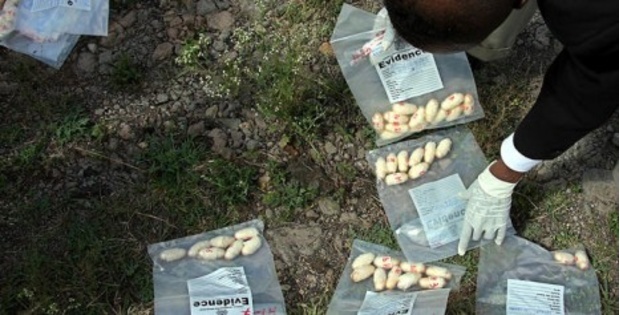 There is no doubt that the scale and breadth of drug trafficking (primarily, but not exclusively, Cocaine from South America on its way to the lucrative European markets) is fast increasing in the region, and that it is controlled by organised crime groups with the ability to engage in widespread corruption of officials, and provide financial support to the many political and territorial rebel groups in the region. Unsurprisingly, the domestic consumption of 'Western' drugs such as cocaine and cannabis seems to be increasing accordingly, although in the absence of widespread surveys, we are only likely to see convincing data when it is too late to react. On the positive side, there is little sign (yet) of the sorts of market related violence that we see in Central America for example. This may be due to the less widespread availability of small arms (a situation that may be changing since the fall of the Gaddafi regime in Libya) or, ironically, due to the efficiency and clear dominance of particular trafficking groups. However, if I am reading history correctly, all the conditions exist for the fragmentation and diversification of trafficking groups and routes, which usually leads to massive violence, with many innocent victims. Which brings us to the government responses – it is quite right that national governments and the international agencies have identified the security threats associated with drug trafficking through West Africa, but it is hard to see how current agreements and strategies will succeed, and indeed, avoid making things worse for the affected communities. The level of law enforcement resources within the region, even bolstered by international aid agreements and technical support, stand little chance of achieving anything more than the occasional arrest of minor players, or the temporary disruption of particular trafficking groups or routes. We have seen this before – the scale and the nature of the markets remain unchecked, while some of the pieces move around. And this 'balloon effect' usually results in more violence and disruption in more areas. If enforcement is effective in Guinea Bissau, where will the traffickers move next (Mali seems already to be moving that way)? Fortunately, there is a growing community of analysts and drug control experts in the region who are starting to think more widely than the simple law enforcement approaches that have failed to stem the tide in Asia and Latin America, and are looking more closely at innovative approaches to managing drug markets to minimise the violence and corruption, and also at effective treatment and public health strategies to protect their own citizens. It will be important that these wider drug policy debates are given the chance to flourish in Africa, through initiatives such as that of the Kofi Annan Foundation, and that experts from the region can learn from what has worked, and not worked, in parts of the world that have previously faced similar challenges.